Utilize morning, mid-day and afternoon breaks by taking a stroll around our beautiful campus. 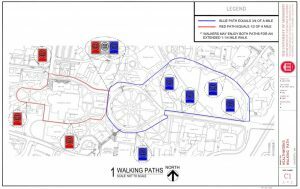 The Blue and Red Paths are now marked and can help you keep track of your distance.Taking breaks is proven to increase your productivity as they allow you to mentally recover and re-focus. Exercise is proven to reduce stress and the resulting feel good factor can boost productivity by leaving you with a healthy and focused mindset. Take advantage of the UM Walking Paths whenever possible. Download a map of the trails here. 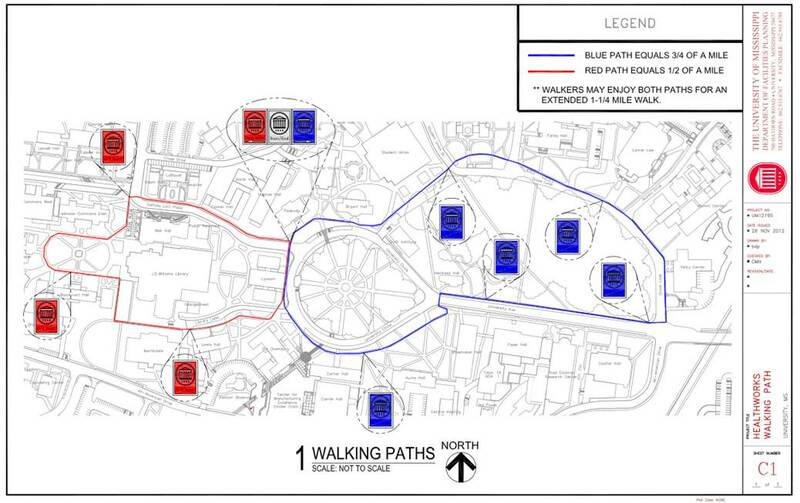 Begin your walk anywhere along the Blue or Red Paths and the markers will help you keep track of your distance. Or you may begin where the paths meet at the Magnolia tree between Peabody Hall and the historic Lyceum. 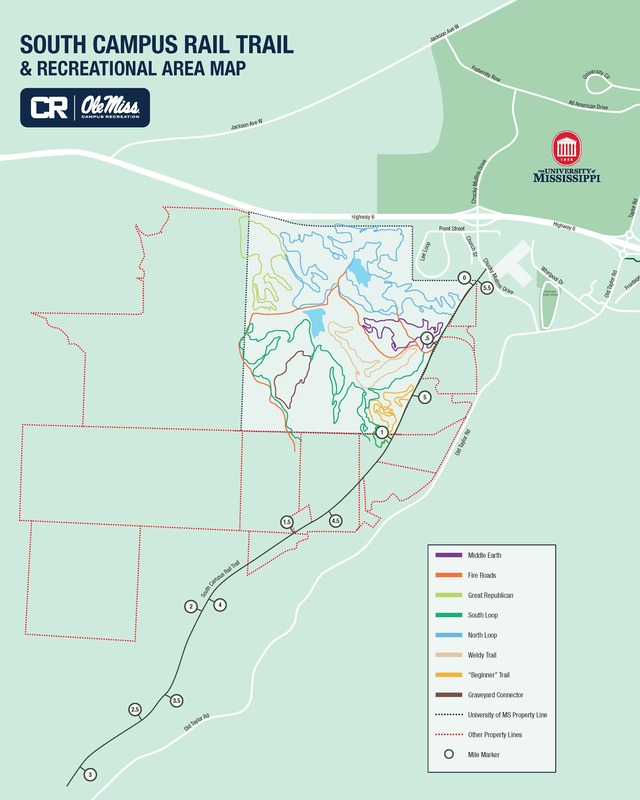 The University of Mississippi owns the land located just south of Highway 6 and just west of Chucky Mullins Drive, formerly (and colloquially) known by several different names including “Whirlpool Trails”, “Old Taylor Trails” and “Thacker Mountain Trails”. This land is now named the South Campus Rail Trail. 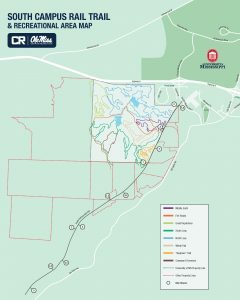 The University would like to create a better recreational experience for students, faculty, staff, and Oxford and Lafayette County community members who walk, run, and bike on this trail. Download a map of the trail and connecting bike trails here. 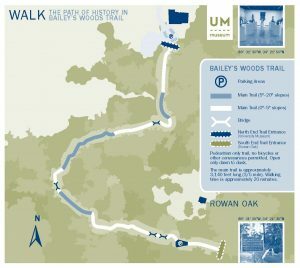 The UM Department of Campus Recreation is the primary point of contact for internal and external inquiries regarding the South Campus Rail Trail, and is responsible for oversight of programming and events on this trail. Programming and signage is sponsored by RebelWell. 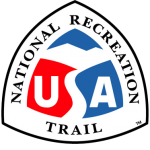 For more information about the Trail, visit Campus Recreation’s South Campus Rail Trail page. Another Beautiful Place to Walk! A National Recreation Trail, Bailey’s Woods Trail links Rowan Oak, William Faulkner’s historic home, to the University Museum. Stretching approximately 3,000 feet, the trail takes about 20 minutes to walk, and bikes are not permitted on the trail. Bailey’s Woods is a heavily wooded area that William Faulkner was known to walk through. The trail was officially opened in 2008 and is a popular spot for hikers, UM classes, families and pets. The trail is incorporated into educational programming at the Museum in order to get children and visitors outside and active. Click here to download trail map. Utilize sidewalks whenever possible. When sharing the road with vehicles, stay on the left side of the road so that you can see oncoming traffic. Use crosswalks to cross streets. Look for vehicles before crossing. Be alert for other pedestrians, obstacles in path, and uneven terrain. Carry water with you if needed.